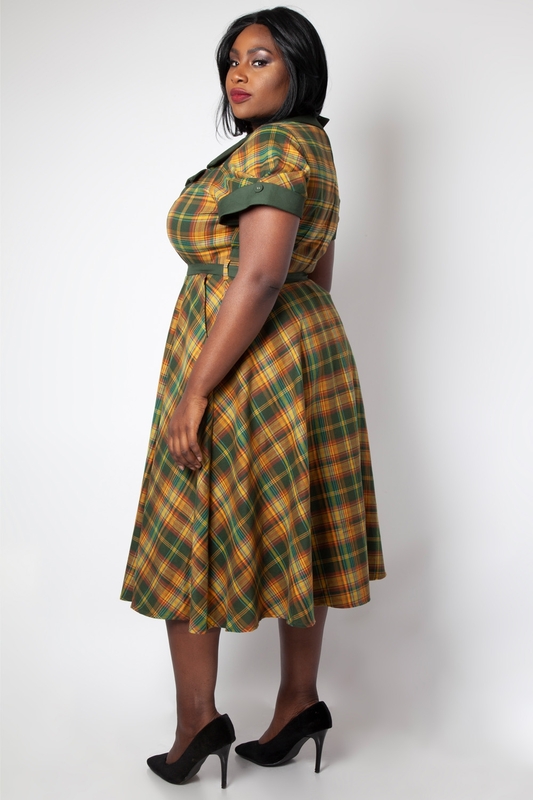 Add some sophistication to the preppy look with our Ella Tartan Flared Dress! The A-line fit and buckled waist belt gives a little bit of flattering flare, so you can be crowned Best Dressed for the Class of 2018! Love the look? Check out the Jocelyn Green Tartan Overalls!